Isobel is a valued Web Developer and Tiles Saleswoman. Isobel started working at Kenbro, of a Sunday when she was 14. She started full time work in 2014 and since then has built our website, Facebook page, and regularly designs adverts. Isobel also manages our homeware section, where she keeps the stock up to date and orders in new products. 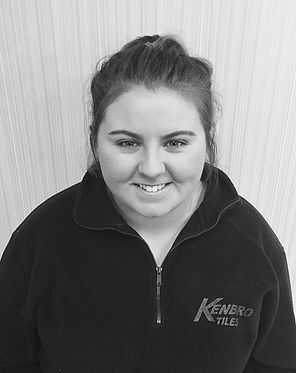 Here at Kenbro Carpet and Tile Warehouses our main aim is to provide you with a quality, professional service, right from the initial choosing of your flooring to the installation.